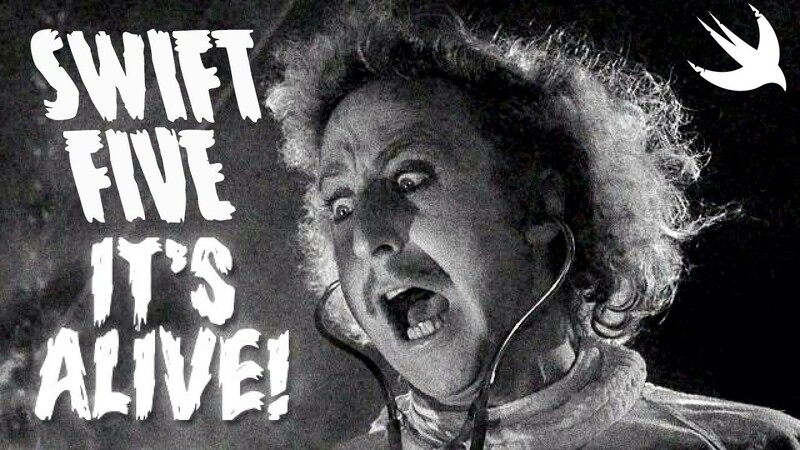 Swift 5 — it’s alive! Another major version of Swift dropped this week, surprisingly in March — every other major version of Swift has dropped in September. Most likely this was due to issues in implementing ABI stability, since Ted Kremenek, manager of the languages and run time team at Apple, deemed it a requirement for Swift 5. Instead, we saw a raft of new changes in Swift 4.2 in September, the traditional month for new versions, and I imagine the Swift team were given a little extra time to focus on bringing Swift 5 to life! ABI what now? First, a little refresher — when you compile your app, it is converted into lower level machine code called a binary. To determine how your Swift code is represented in machine code, the compiler uses something called the Application Binary Interface(ABI). Prior to Swift 5, when you generated a binary, some files were also included with the binary, called the Swift standard library and runtime. These represent the Swift ABI. From Swift 5 going forward, this ABI will be standardized and all future versions of Swift will be compatible with this ABI. This means that operating systems that run Swift binaries(such as iOS) will be able to embed the Swift standard library and runtime (aka the Swift ABI), meaning that apps will no longer need to embed them. Hooray! This will mean smaller app bundles, and compatibility between applications and libraries that may have been compiled with different Swift versions. Apple’s Swift ABI Stability Manifesto also describes another important compatibility goal — source compatibility. This has historically been a bugbear of Swift — the possibility of future versions rendering your Swift code out-of-date. While migration tools have automated much of these issues, migration can still be buggy, and incompatibilities with external dependencies can cause major headaches. From Swift 4 onwards, this migation will not be necessary. The compiler will be able to compile code from Swift 4 onwards. So — I guess you could stop reading now, if you like, and keep writing Swift 4 code! Or, if you’re interested in knowing what’s new and exciting in Swift 5, read on! It seems like every version of Swift, something new has happened to map! Back in Swift 4.1, the flatMap method was divided into two methods. One method continued to be called flatMap, and we were introduced to a new method calledcompactMap. The compactMap method basically did the same as map method but also removed any nil values from the result. We didn’t, however, have a compactMap version of this mapValues method, however, until finally, in Swift 5.0, we have what has been called compactMapValues! The two propertiesresponse and error are optional. If the response property is nil, the error will not be nil, and vice versa. Much more elegant! A much more readable solution and clearer that we have dealt with all cases. Well, Swift 5 gives us some more fancy String modifiers, by allowing us to create what are called raw strings. Raw strings ignore escape sequences. One escape sequence you are probably familiar with, for example is \n. While \n is usually interpreted in a String as a new line, in a raw string, this escape sequence is ignored, and \n is left as is. This looks like a newline \n but it’s not! Phew! That’s a lot to start with, and that’s not all! You can find a full list of changes in Swift 5 in the official Swift blog. You’ll find some interesting stuff there on future enum cases and customizing string interpolation. Interested in learning to build iOS apps using Swift? 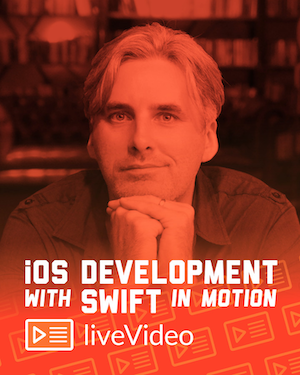 Click on the link to check out my video course, iOS Development with Swift in Motion.